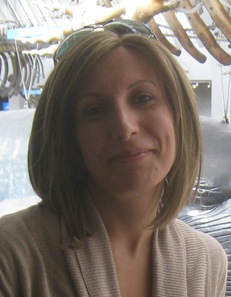 I am Patrizia Ziveri, the European MedSeA project coordinator and the chief scientist of this research cruise. I will be on board of the Angeles Alvariño during the first Leg from Cadiz to Heraklion. I am working at the Institute of Environmental Science and Technology (ICTA), Universitat Autònoma de Barcelona and I am also affiliated with Marine Biogeology Section at the Vrije Universiteit Amsterdam. 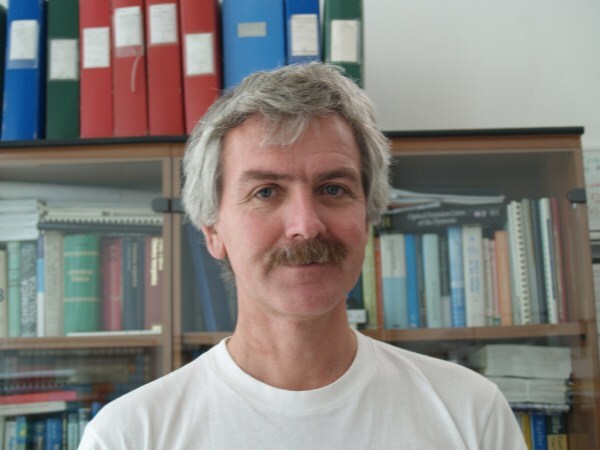 I am a specialist in marine planktonic calcifying primary producers, and their interactions with climate and ocean acidification in the modern and past geological time. I am also working on improving the precision and the mechanistic understanding of paleoceanographic proxies focusing on the “vital effects” (or biological fractionation) in biogenic calcite stable isotopes, probably the most routinely used proxies in paleoceanography. In our MedSea project, a major aim is to assess uncertainties, risks and thresholds related to Mediterranean acidification and warming at organismal and ecosystem scales. This cruise is the first Mediterranean cruise fully dedicated to collect new data related to the understanding of seawater carbonate chemistry dynamics and its relation with Mediterranean target organisms and bioegeochemical processes. We are having an intense sampling plan including aereosol, surface ocean, plankton and water chemistry, and core sediments. The work on the core material will help us to trace the natural decadal variability of seawater carbonate system and environmental changes. 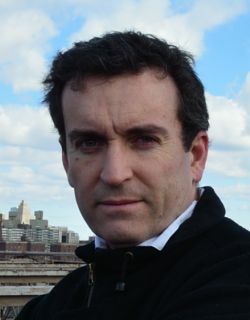 Jordi Garcia-Orellena is a tenure-track lecturer at the UAB with a PhD in Physics. My work is focused on the use of natural and artificial radionuclides to study different kind of environmental processes. My main interest is focused on the Submarine Groundwater Discharge (SGD) processes in coastal areas and its impact in coastal biogeogechemical cycles and the distribution of artificial radionuclides in the environment. Other areas of interest are: i) the study of the evolution of pollutants in environmental records; ii) the impact of NORM sub-products in the environment and iii) characterization of hydrological processes. 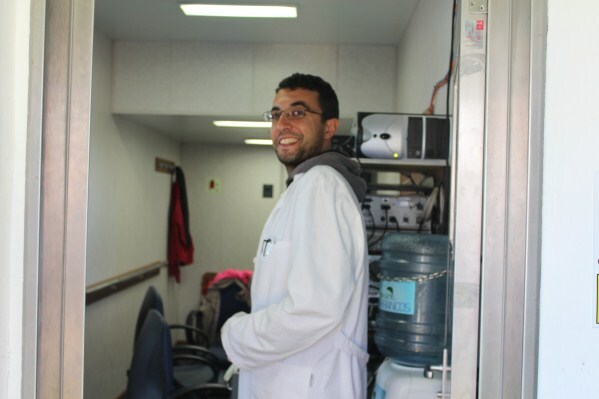 I am one of the chief scientists of the MedSeA cruise as part of the GEOTRACES program. I will participate as a chief scientist in the secondleg of the MedSeA cruise. Our main role will be to determine the distribution of some radioactive isotopes in dissolved and particulate fraction in the Mediterranean water column. Related to the MedSeA project, we are in charge to determine the C flux related to sinking particles analyzing the 234Th disequilibrium in the water column and the estimation of the sedimentation rates in the collected sediments. 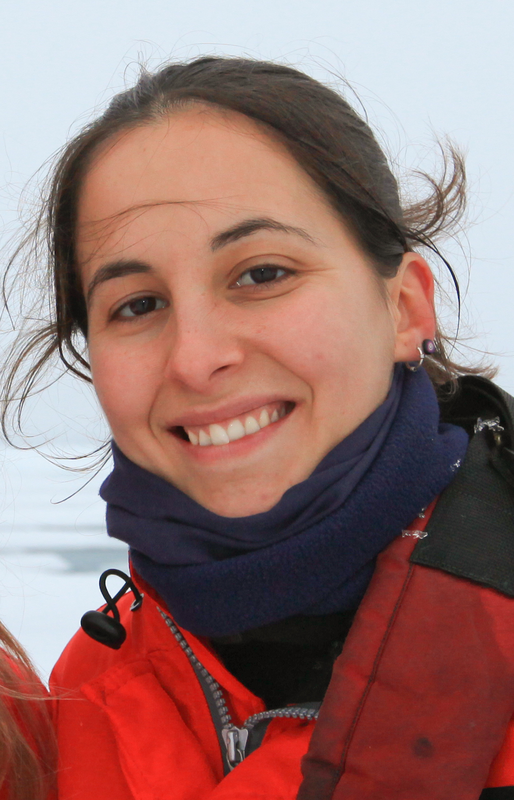 My name is Melissa Acevedo, I’m biologist and I am currently a PhD student of Marine Sciences at the Universitat Politècnica de Catalunya. I am member of the gelatinous plankton research group at the Institut de Ciències del Mar (CSIC) in Barcelona.I will participate on the first part of the MedSeA project cruise, from Cadiz to Heraklion. I will be in charge of the collection of zooplankton samples, focusing on jellyfish and other gelatinous organisms. Our main objective is to study the distribution and actual situation of the gelatinous blooming species in the Mediterranean, the trophic roles of the organisms and the possible effects of acidification on those animals.This cruise is a great opportunity and a unique study of the current status of our sea. I am really waiting to see what are the findings and surprises that the Mediterranean is going to show us! My name is Núria Casacuberta Arola. I did my PhD at ICTA (Environmental Science and Technology Institute), Universitat Autònoma de Barcelona and former graduate in Environmental Sciences at the same university. I am currently a post-doc at ETH (Eidgenössische Technische Hochschule) Zurich, in the Ion Beam Physics Laboratory. My role in the MedSea project is to analyze 236U and 129I in seawater samples by Accelerator Mass Spectrometry (AMS), with the aim of using these two radionuclides as water masses tracers in the Mediterranean Sea. During the MedSea cruise I will also be involved in the collection and subsequent analysis of other natural (i.e. 234Th, 210Pb and 210Po) and artificial (i.e. Pu-isotopes, 137Cs, 90Sr) radionuclides. Hi! My name is Maxi Castrillejo, I got my degree and masters in Marine Sciences and I just have started my 1st year of the PhD at the Universitat Autònoma de Barcelona – ICTA. I will work together with my PhD mate Muntsa collecting and processing samples for natural and artificial radionuclides both in seawater and large particles. We also aim to measure particulate trace metal in order to understand their biogeochemical cycling (sources, sinks, and internal cycling) in the Mediterranean Sea.I hope to get nice water samples and beautiful particles….. Mediterranean, there we GOOOO!!!!! Hola! 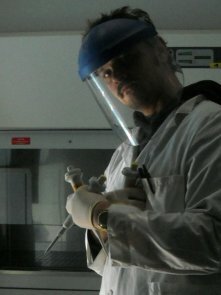 I’m Mauro Celussi, researcher at OGS. I graduated in Natural Sciences and got a Ph. D. in Polar Sciences. My research activity focused on the synecology and physiology of planktonic bacteria and cyanobacteria in the North Adriatic coastal and paralic systems, in particular on the role played by these organisms on organic matter production, utilization and degradation. More recently researches focus on the qualitative composition of bacterioplankton communities through molecular biology analytical methods. Several studies have been developed on spatial and temporal variations of prokaryotic communities in different environments (Southern Ocean, Mediterranean Sea, Arctic Ocean) along with their link to degradation processes and organic matter production in planktonic and benthic systems. Current researches focus on the effect of growing CO2 concentrations in the marine environment on the diversity and functionality of planktonic and benthic microbial populations. In the MedSeA cruise I’ll be studying the metabolism of deep-sea prokaryotes in terms of uptake and release of carbon dioxide and organic material. Even though I’ll only be going through the second leg I’m pretty sure it will be a fantastic experience! 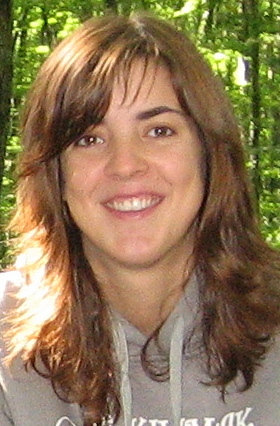 My name is Barbara D’Amario, I’m a PhD student of Environmental Sciences at the Universitat Autonòma of Barcelona and former graduate in Geology. I will participate to this MedSeA project cruise as part of my research project regarding the effects of elevated atmospheric CO2 on the chemical and biological properties of the Mediterranean Sea, in particular on its planktic carbonate producers. My main role will be to collect samples for coccolithophores and calcareous dinoflagellates, and seawater δ 18O and δ13C of dissolved inorganic carbon. We will also gather material for the study of pteropods and foraminifera.I’m really looking forward to it as this will be my first research cruise and a unique occasion to touch with hands the important changes that are now taking place in our sea. 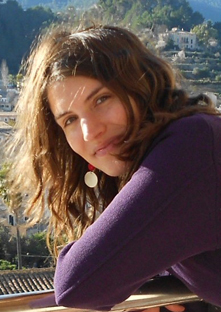 My name is Elissar Gemayel, I’m a PhD student of Oceanography at the University of Perpignan Via Domitia in France in co-direction with the National Center for Marine Sciences in Lebanon; and a former graduate in environmental sciences. I will participate in this MedSeA project cruise as part of my research project regarding the quantification and forecast of CO2 fluxes across the air-sea interface of the Mediterranean Sea. My main role will be to acquire continuous data of pCO2 underway, pH, salinity, temperature and fluorescence using an automated system developed in our lab. We will also gather samples for the analysis of dissolved oxygen, C14, total carbon and total alkalinity. I’m really excited to be a part of such an experience, especially that this will be my first research cruise. I think it will be a great opportunity to see hand to hand the true nature of our Mediterranean Sea. 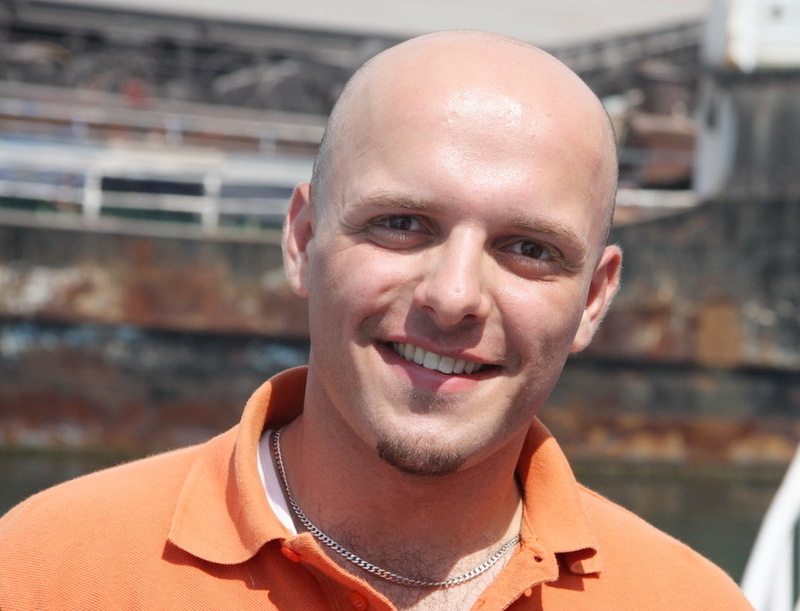 I am Michele Giani, chemical oceanographer working at OGS –Istituto Nazionale di Oceanografia e Geofisica Sperimentale – Oceanography Section in Trieste, Italy. My research work is mainly focused on understanding the natural and man induced effects on carbon, nitrogen and phosphorus cycling in the sea. My interest during this cruise is to identify the variations in nutrients, particulate and dissolved organic matter between the epipelagic, mesopelagic and batipealgic zones from the western to the eastern Mediterranean sea and to couple these with the prokaryotic distribution, bacterial carbon production and planktonic respiration in order to better understand the biological effects on the carbonate distribution. It is a great opportunity to work in a multidisciplinary team onboard of a very new oceanographic vessel as the R/V Angeles Alvariño. Iwill be onboarftd of this ship from Cadiz to Heraklion. I’m Abed El Rahman HASSOUN, a Lebanese PhD student. I’m preparing my thesis in co-direction between the University of Perpignan Via Domitia/IMAGES laboratory (France) and the National Council for Scientific Research/National Center for Marine Sciences (Lebanon).Aiming to fulfill the objectives of my PhD thesis, entitled “Analysis and Modeling of the Acidification in the Mediterranean Sea”, I will have the pleasure to participate in the MedSeA cruise for a better understanding of the acidification in this Sea; particularly to calculate the values of total alkalinity (At) and total carbon (Ct) used to estimate the amount of anthropogenic CO2 (CO2 anth.) in the Mediterranean seawater. During this mission, I will collect samples intended to measure the total alkalinity, total carbon, 14C and dissolved oxygen.Eventually, I’m very excited to be a part of the MedSeA cruise’s team and to collaborate with the different groups on board to have an exceptional scientific and personal adventure. 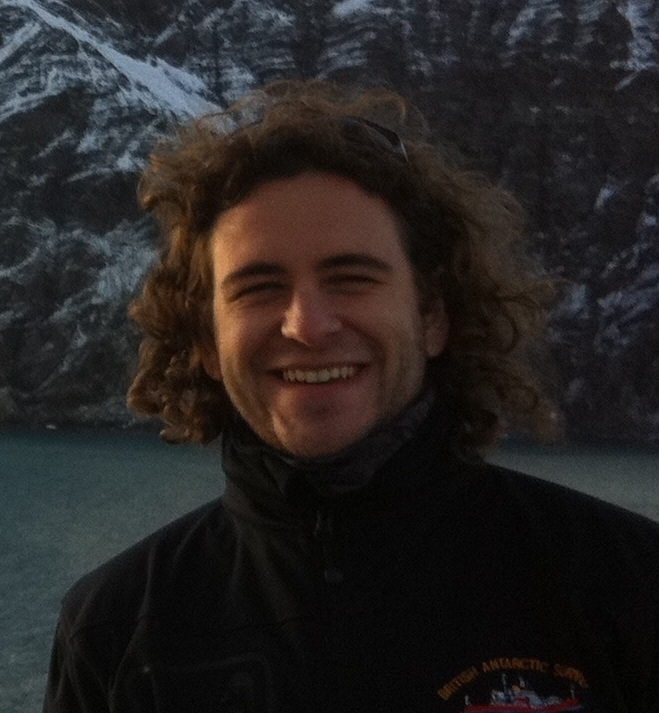 My name is Gianmarco Ingrosso, I’m a PhD sudent of Enviromental Biology at the National Institute of Oceanography and Experimental Geophysics – OGS (Trieste, Italy), in collaboration with University of Trieste. My research project is focused on ocean acidification of coastal waters based on accurate measurements of the carbonate system. In particular, I’m studying the spatial and temporal variability of pH, total alkalinity and carbonate species in the Gulf of Trieste (North Adriatic Sea) in relation with high riverine inputs and intense biological activity. My research also tries to evaluate the local uptake and sink of anthropogenic CO2 during dense water formation, in order to better understand the role of North Adriatic Sea in the transfer of CO2 enriched waters into the deep Adriatic waters. During this cruise my role will be to collect samples for some basic chemical parameters, such as dissolved oxygen, nutrients, and dissolved organic carbon-nitrogen-phosphorus. I will assist also my colleagues to filter water samples for total and organic particulate carbon determination, and to analyse potential respiration of plankton community (ETS) and bacterial productivity (dark 14C uptake and BCP). 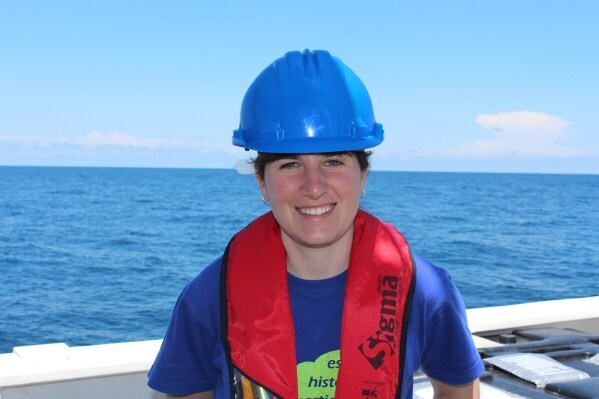 I’m Eva Krasakopoulou and I’m starting the cruise as researcher of the HCMR’s Institute of Oceanography but when I’ll disembark in Heraklion I’ll be member of the stuff of the Department of Marine Sciences of the University of the Aegean. This cruise is my second transmediterranean survey, the first one was in 1999 and in between I participated in many cruises in the Hellenic Seas as well as in the Black Sea studying the biogeochemical cycling of carbon and nutrients. Though the campaign is conducted during the greek-orthodox Easter holidays, thus it was very challenging for me to participate in this survey that starts from the Atlantic Ocean, and sampling is predicted in the Gibraltar Strait that connects our “mini-ocean” with the Atlantic. 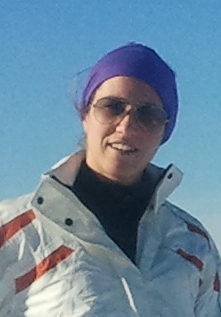 Although my major scientific interest is the study of the carbonate system properties in the Mediterranean, during this cruise my main role will be to collect samples to gather information along the well-known West-East trophic gradient of the Mediterranean and across the different water masses for (a) the chemical characterization of the dissolved and particulate organic matter, (b) the determination of Transparent Exopolymer particles (TEP), (c) the whole-genome analysis of viruses and associated prokaryotes (d) the assessment of the ratio between autotrophic and heterotrophic cells (e) the flow cytometric analysis of picoplankters, in relation to the present day carbonate chemistry properties. Of course all these different disciplines will be evaluated in collaboration of my HCMR-colleagues Aleka, Anastasia, Vivi and Tatiana (who will embark on R/V Angeles Alvarino in Heraklion), with the other scientists participating in the cruise. My name is Ramiro Mata and my background is in Earth Sciences. This is my first time in a research cruise and I’m excited to see the Mediterranean. I’m a JEMES (Joint European Masters in Environmental Sciences) first year student and I hope to do my thesis in paleoclimatology. I will replace Barbara on the second leg of the trip and will continue her data collection on coccolithophorids. 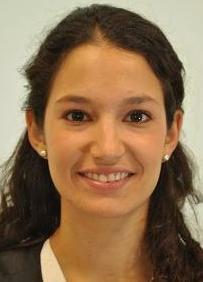 I am Eva Mayol and I am doing my PhD thesis at Imedea. The focus of my studies is on the distribution and transport of airborne microorganisms over the ocean and the implications for marine ecology. During the MedSea Campaign I will collect samples of bioaerosols, which will be analyzed using microscopy and genetic tools. I think this campaign is an excellent opportunity for me to respond some of the main questions of my thesis. My name is Montserrat Roca Martí, but I like to be called “Muntsa”. 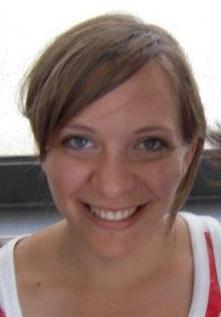 I am a phD student of Environmental Science and Technology at the Universitat Autònoma de Barcelona. My research is focused on quantifying the carbon export from the surface to the deep waters of the ocean, using natural radionuclides (238U-234Th and 210Pb-210Po) as tracers. I am going to participate in the MedSea cruise together with my colleague Maxi. We will analyse natural and artificial radionuclides. I have experience in polar cruises, but now I am looking forward to going to this cruise in order to understand how the Mediterranean Sea works, since I grew up snorkelling in those waters. 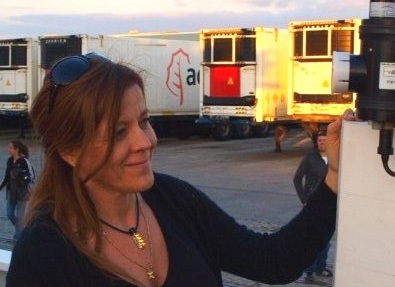 My name is Marina Sanz-Martin, I am Spanish and I collaborate with the Mediterranean Institute for Advanced Studies (IMEDEA-CSIC) at the Balearic Islands and the University of Cádiz (UCA). I am graduated in Marine Sciences, masters in Global Change and I would like to get a grant to develop a PhD in Marine Sciences. I will participate at the MedSea Cruise to sample neuston – it means surface plankton – with the aim of studying the presence and the magnitude of floating plastic debris in the Mediterranean Sea, analyzing the biomass neuston community and comparing it with the abundance of plastic fragments. Also, we will study plastic degrading bacteria. This cruise is great opportunity to work aboard and to learn how research in marine sciences actually works. 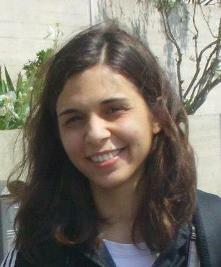 My name is Tanya Tsagaraki and I’m a PhD student/ Research assistant at the Hellenic Centre for Marine Research in Crete. During this cruise I will be replacing my colleague Eva Krasakopoulou and taking samples for flow cytometry, genome analysis of viruses and associated prokaryotes and plankton enumeration and assessment of ratio of autotrophic/ heterotrophic dinoflagellates. My specific research interest is for the enumeration autotrophic/ heterotrophic dinoflagellates as there is little experimental information on this in the Mediterranean and it will be very interesting to see the changes along a longitudinal gradient. This will be my first trans-Mediterranean cruise and I am very much looking forward to it!